Guacamole — if you have tried it, you love it. If you haven’t tried it, its only because you don’t like green stuff and hate to try new things. 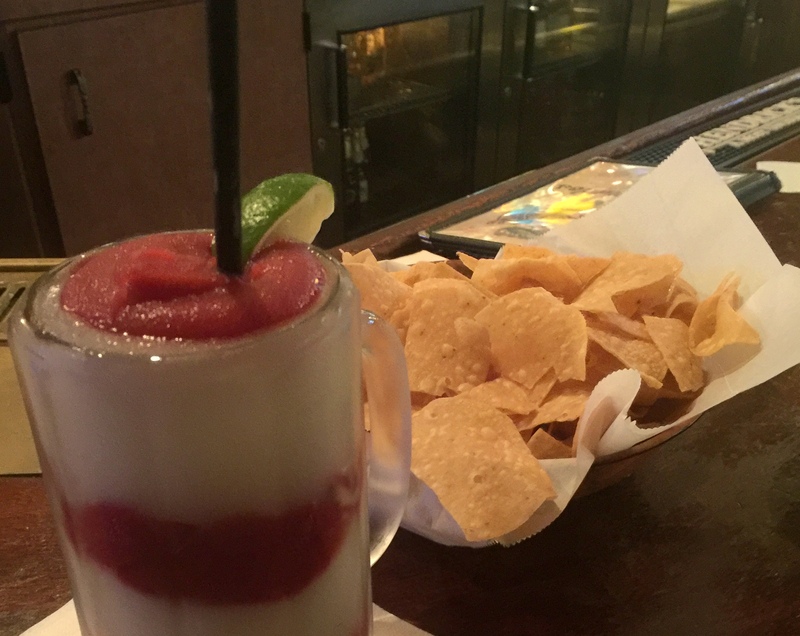 Once you try it, you’re hooked. 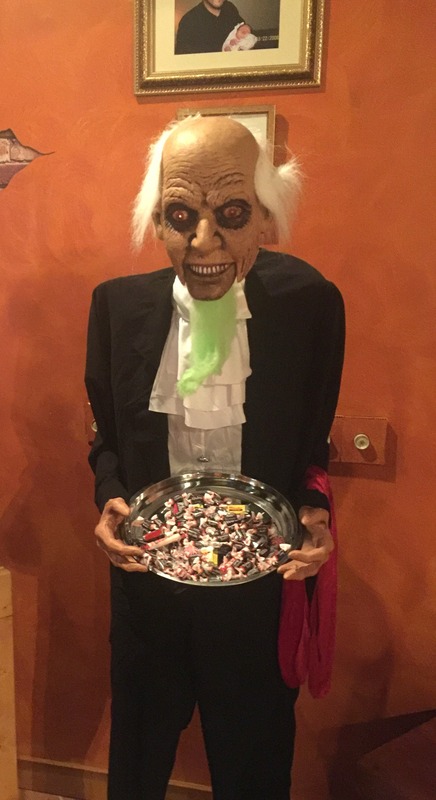 Page members suggest several places and we went to two in Racine and one in Wauwatosa. 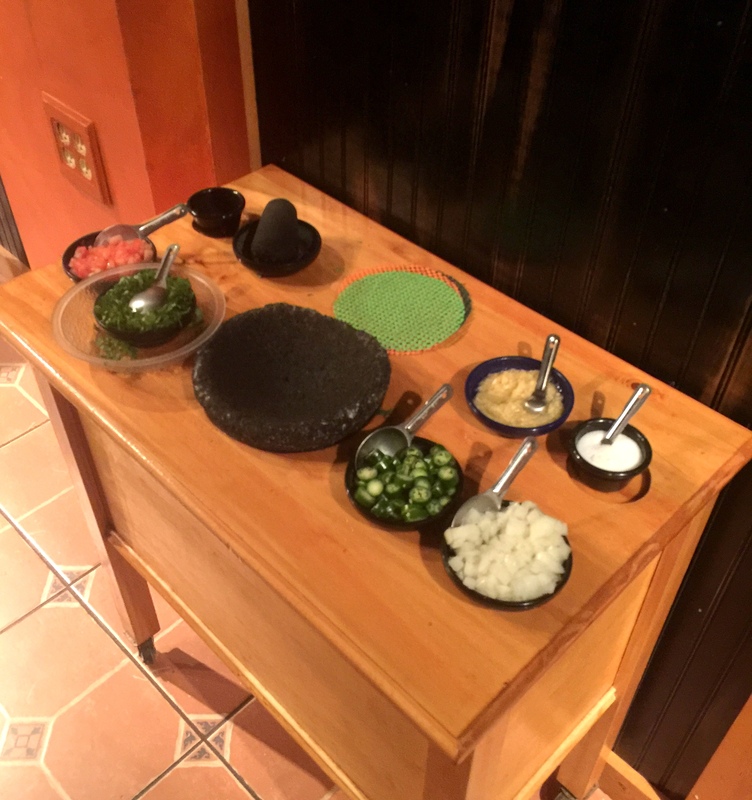 All of the restaurants made the guacamole table-side. Two of the places were very good — one took it to the next level. 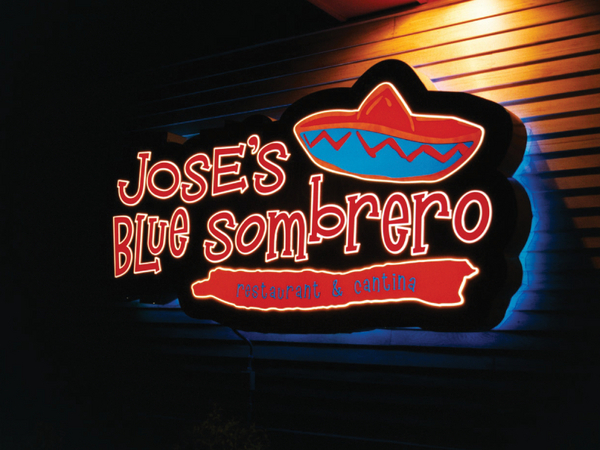 Jose’s has a great atmosphere and the menu is ever-changing and innovative. We ordered the table-side guacamole for $9.00. Two things were great about this guacamole: (1) the server makes a bunch of it and (2) Jose’s chips are thin and taste like they just came out of the deep fryer — so good. Michelle made our guacamole. She was clearly an expert in guacamole creation. The ingredients are as follows: onions, fresh garlic, and peppers (which are mushed into a paste — no chunks), tomatoes, avocados, cilantro, lime, salt, and pepper. She asked us if we wanted mild, medium, or hot. We chose medium, which I regretted because the medium was actually HOT. 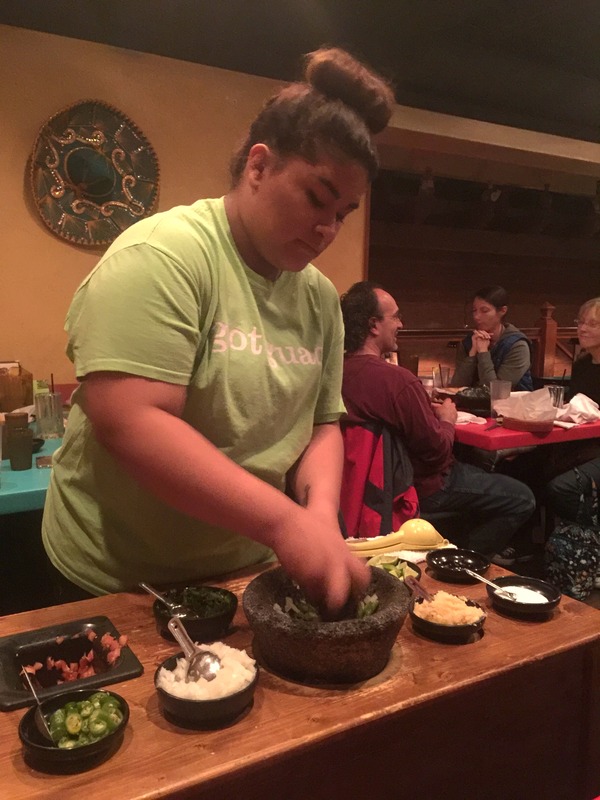 Michelle used the mortar and pestle which I learned is called a molcajete. We realized that we don’t really like a noticeably spicy guacamole, just like we wouldn’t like spicy mashed potatoes. Guacamole is comfort food — leave the spicy to salsa. 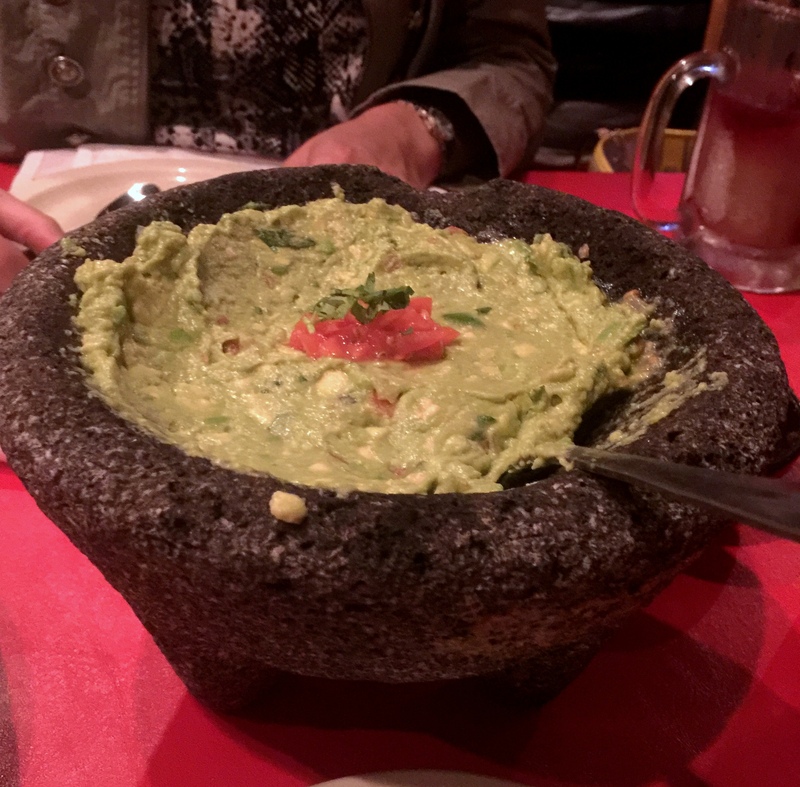 All in all a very good guacamole – but watch the heat level. 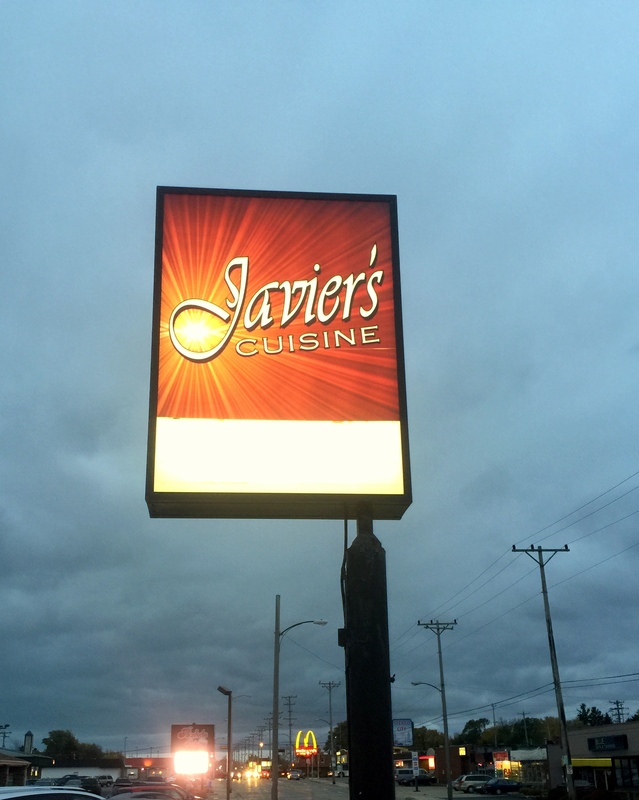 Most of the tables were taken at Javier’s on a Saturday night. 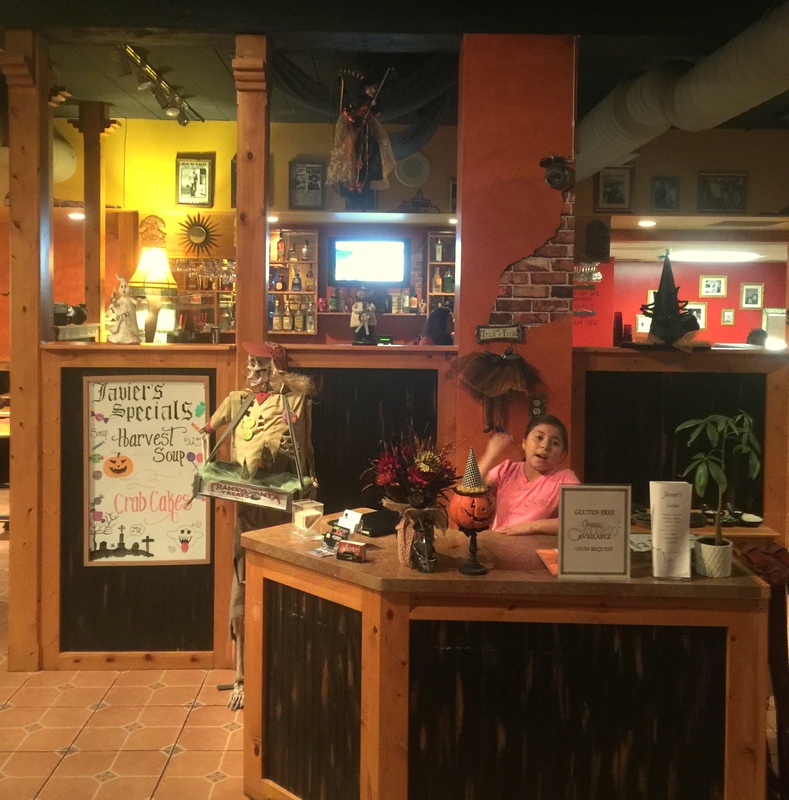 The restaurant was tastefully decorated for Halloween/Dia de los Muertos. I just loved the look of this place, so warm and inviting. Pictured above is Jalyna, the most mature 10-year old girl that ever served Mexican food. I wanted to adopt her. Javier’s makes table-side guacamole using the same ingredients as Jose’s, but the peppers were Serrano. 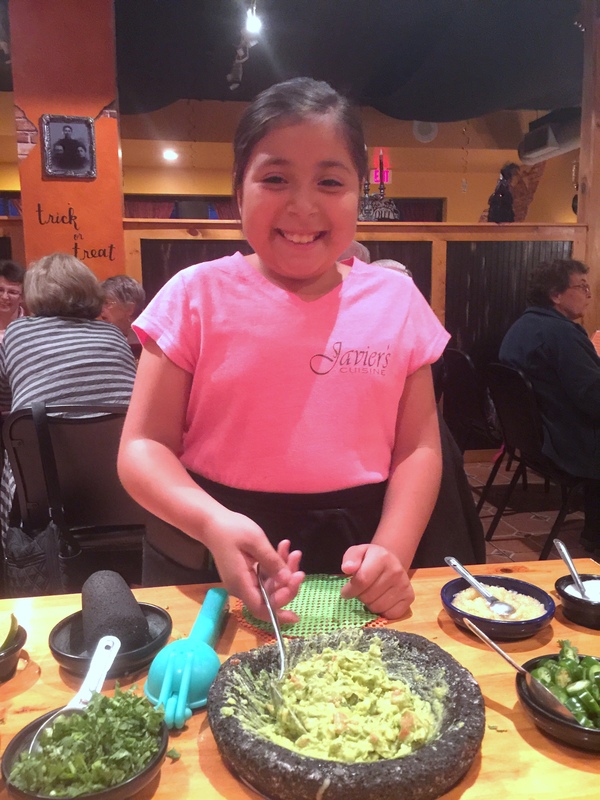 Jalyna was the guacamole maker that night and her personality and smile made our visit. She asked us how much of every ingredient we wanted — the problem was we didn’t know — we just wanted good guacamole. 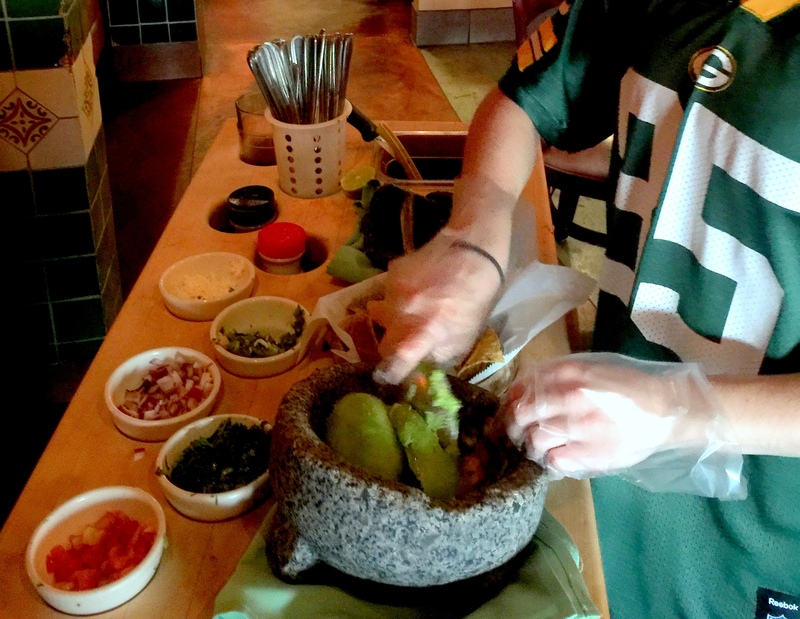 She did her thing and made us a good molcajete of guacamole, but it could have used a bit more lime, garlic and salt. That smile though. 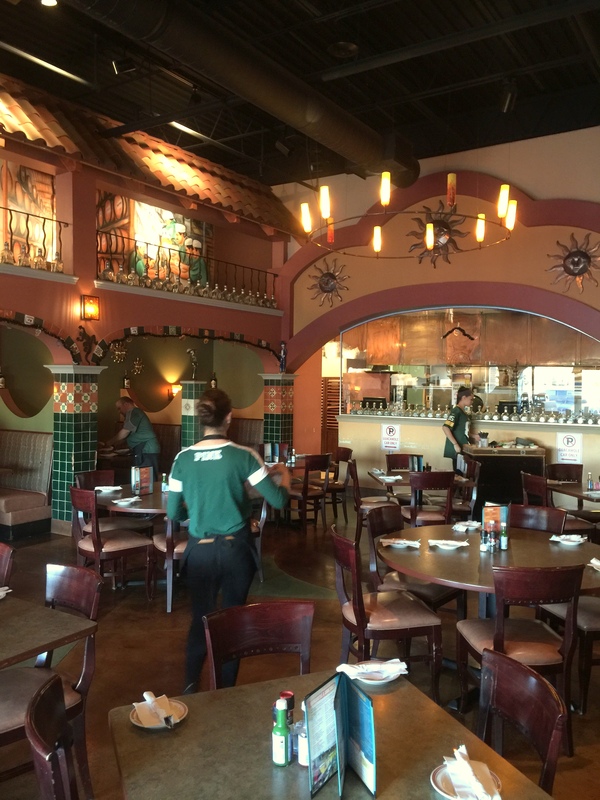 Habanero’s interior is attractive and modern with two sides — one side being more of a bar with tv’s the other side being the dining tables. 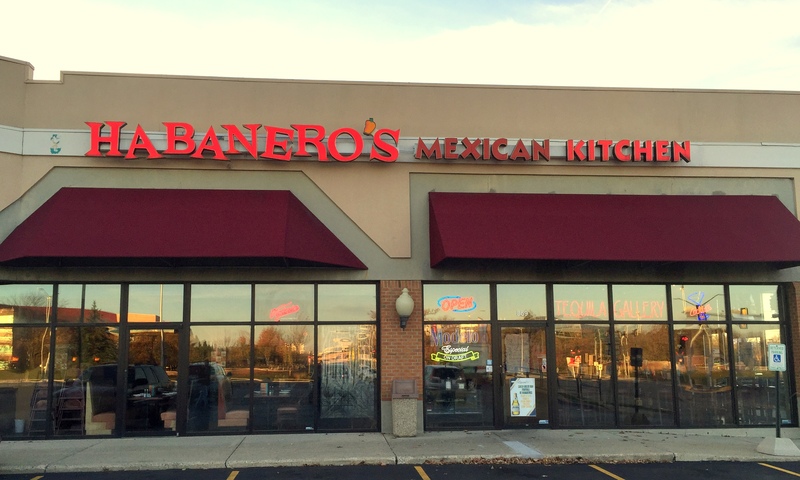 Here is why Habanero’s is our winner. We ordered the traditional guacamole. The guacamole, made by Elena, was perfectly seasoned with lime, spice, salt and garlic and topped off with some mini-shreds of cheese. The cheese was SUCH a great addition to the guacamole, I am absolutely incorporating it in my home recipe. 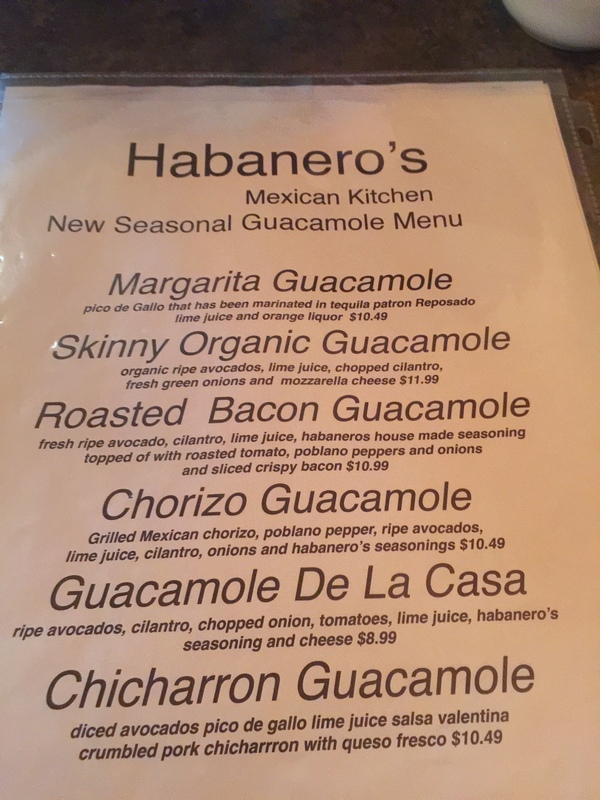 Secondly, in addition to traditional guacamole, Habanero’s offered five other types of guacamole. 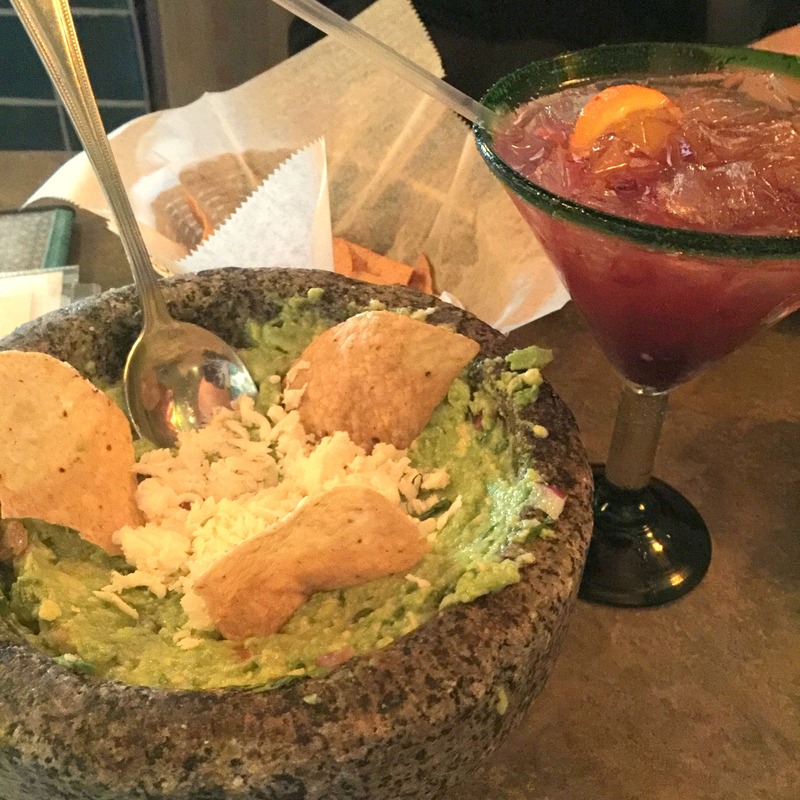 Elena offered that the Roasted Bacon was the most popular non-traditional choice but her favorite is the Margarita Guacamole. The problem that I had with this guacamole challenge was that by the time I had my fill of the guacamole, I couldn’t fit much else in even though I had my eye on several entrees. #foodaddictproblems I have a feeling that Habanero’s is the cusp of a food trend —- we will see new and different types of guacamole all over the land in the future. You heard it here first.